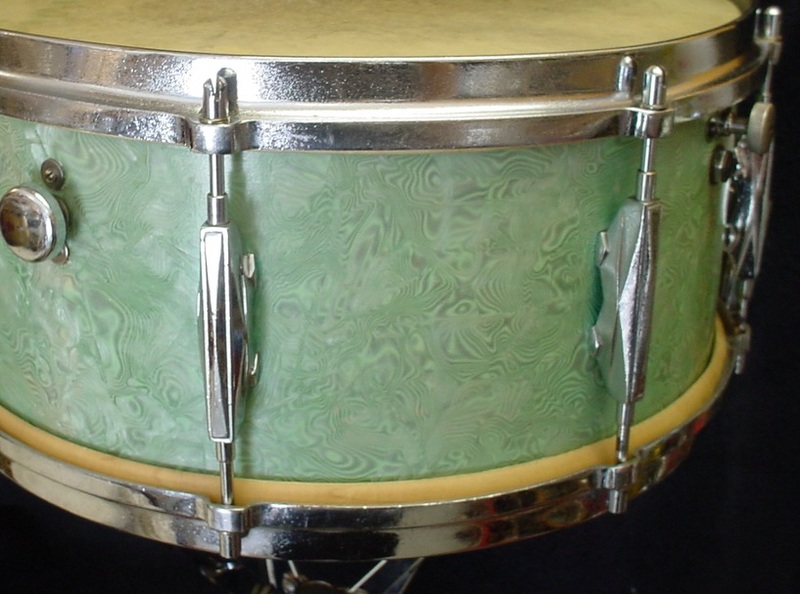 The shell structure is good but the Greenwood Pearl wrap shows some 80 year wear and tear. 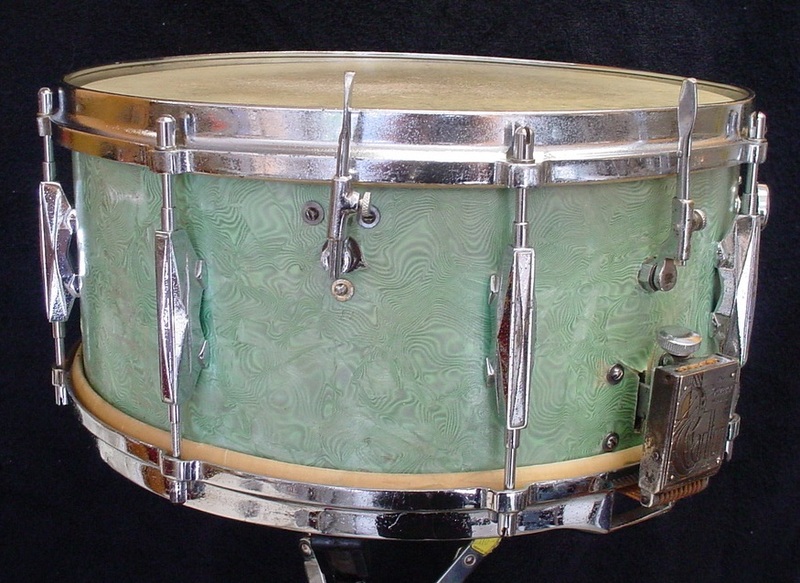 This wrap is pretty thin compared to the L & L, Leedy or Slingerland wraps of the same era, kind of like that thin WFL wrap in the 1940s. I was able to get a layer or two of “schmutz” off of the wrap and things brightened up a little. An interesting fact is that the shell has no badge/air hole. The chrome hardware also shows its age and has some light pitting here and there but everything cleaned and polished up nicely except for a few of the slotted tension rods. Internally the top mechanism is just like a Ludwig Super-Sensitive and a Leedy Dual but the internal “parallel” mechanism is quite different. Externally the top linkages are similar to a Leedy Dual. 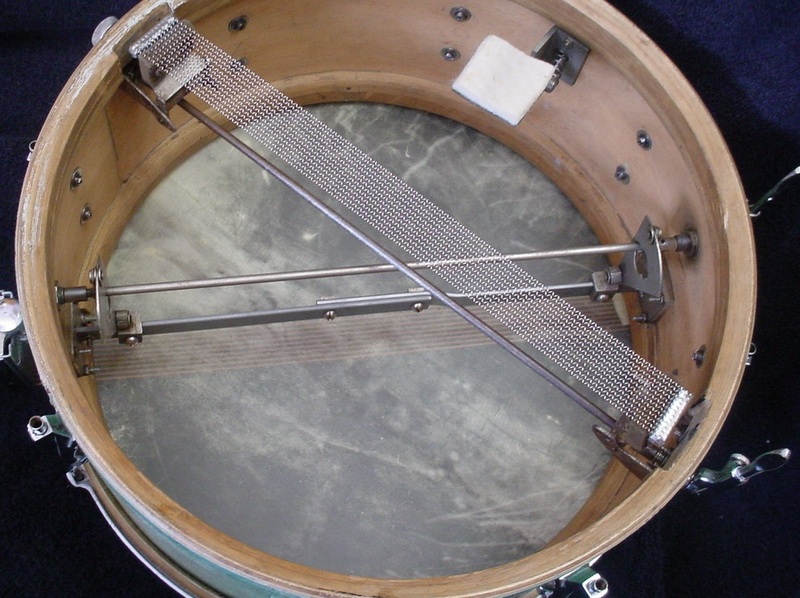 Externally the bottom parallel mechanism is vastly different vs. the Ludwig Super-Sensitive and Leedy Dual models. 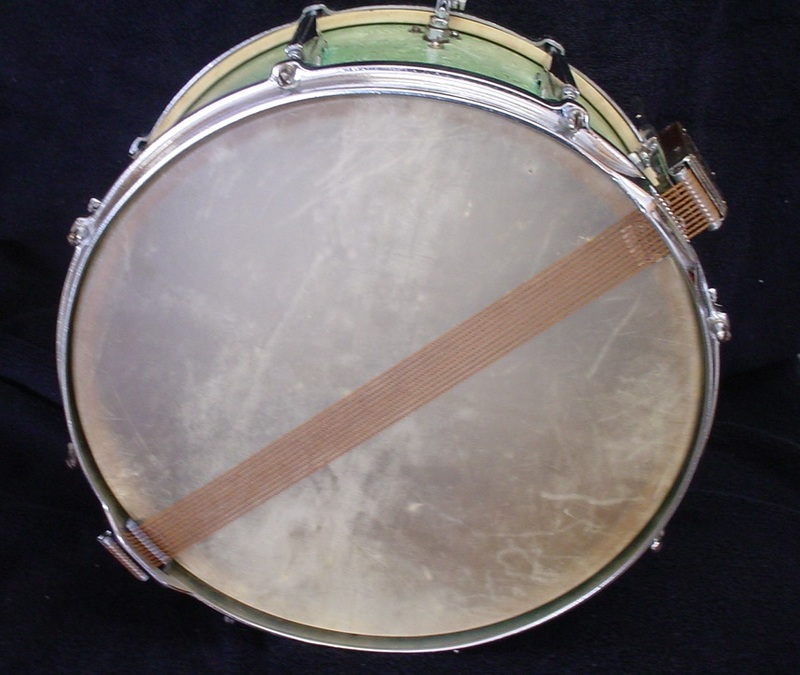 The shell is drilled for 8 lugs like a Leedy of the same era. Off-the-era calf heads rounded out this restoration.